Daran is an experienced BAFTA and RTS award-winning and EMMY-nominated TV drama writer. His credits include CORONATION STREET (on which he was one of the core writers for many years and won a 2010 Writers’ Guild Award), EASTENDERS and HOLLYOAKS. He was the Associate Head Writer on the US soap ALL MY CHILDREN for ABC, for which he was nominated for an EMMY award. 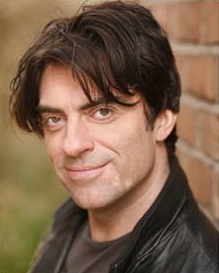 Daran’s original drama THE ROAD TO CORONATION STREET was the winner of the 2011 BAFTA and RTS awards for Best Single Drama, the Broadcast Digital Award for Best Scripted Programme and the 2011 RTS North West award for Best Script Writer. Telling the story of CORONATION STREET it was directed by Charles Sturridge and starred Jane Horrocks, Celia Imrie and Stephen Berkoff amongst others. Daran is currently developing new drama series ideas with Hat Trick Productions and Vox Pictures, in addition to writing on EASTENDERS as part of the core team. He has recently worked on several new ideas with a number of producers, including ideas in development with ITV, BBC Comedy, Buccaneer Media and Monkey Kingdom. NBC Universal commissioned him to write a series bible and pilot script for a drama series and he co-wrote two pilot scripts for a new drama idea with Rupert Everett for Scott Free Productions. Daran has also worked with Lovely Day Productions, developing a number of original drama and comedy drama ideas including a comedy pilot, KITTEN CHIC, which premiered on Sky Living as part of their Love Matters season in April 2013. He was story producer on ITV2’s BAFTA Audience Award-winning THE ONLY WAY IS ESSEX and is currently working as story executive on the BAFTA award-winning structured reality shows MADE IN CHELSEA and THE REAL HOUSEWIVES OF CHESHIRE. Original comedy developed. 30' script commissioned. Writer and Executive Producer of this 30' original comedy commissioned as part of the Love Matters season. Executive producer and writer on 2 pilot scripts commissioned by ITV for an original comedy drama show. Commissioned to write blocks of episodes for this popular Channel 4 show. Commissioned to write series bible and pilot script for new drama series in development. Commissioned to co-write series treatment and 2 pilot episodes of 60 minute drama. Commissioned to write a treatment based on a novel. Commissioned to write a treatment for an original musical drama idea. Development work on a new 20 part late night drama for ITV. Writer of acclaimed 60 minute drama for BBC 4 broadcast as part of the 50 year CORONATION STREET celebrations. *Winner of the 2011 BAFTA and RTS Awards for Best Single Drama and nominated for a Broadcasting Press Guild TV Award. Directed by Charles Sturridge it starred Jane Horrocks, Celia Imrie and Stephen Berkoff amongst others. Wrote first episode of late night series on C4. Wrote 9 episodes of the 50 year old soap. Associate Head Writer on Daytime soap based in New York. Created story for 300 episodes. Working as a script writer on the UK’s leading teen soap. Wrote 12 episodes. Creator, writer and producer of a 20 part drama series set in a Liverpool model agency. Transmitted on E4, C4 and BBC America. Worked as a script writer, writing a total of 95 episodes. Created the show’s first gay character in 43 years. Commissioned to write a one-off drama. Drama written but never produced. Worked for twelve years as Archivist and Researcher on Britain’s longest running television soap. Wrote 11 books on CORONATION STREET, two of which became bestsellers. Story Consultant on this C4 constructed reality show. EASTENDERS (2010-18) BBC Core Writer. TWO'S COMPANY (2013-14) BBC Original comedy developed. 30' script commissioned. KITTEN CHIC (2012-13) Lovely Day Productions/Sky Living Writer and Executive Producer of this 30' original comedy commissioned as part of the Love Matters season. UNTITLED (2012-13) Lovely Day Productions Executive producer and writer on 2 pilot scripts commissioned by ITV for an original comedy drama show. HOLLYOAKS (2012-13) Lime Pictures Commissioned to write blocks of episodes for this popular Channel 4 show. DIPLOMATIC IMMUNITY (2011) NBC Universal Commissioned to write series bible and pilot script for new drama series in development. BOY BANNED (2011) Scott Free Commissioned to co-write series treatment and 2 pilot episodes of 60 minute drama. UNTITLED (2011) Ruby Film & TV Commissioned to write a treatment based on a novel. SOHO (2010) Lovely Day Productions Commissioned to write a treatment for an original musical drama idea. LANDED (2010) ITV Studios Development work on a new 20 part late night drama for ITV. THE ROAD TO CORONATION STREET (2010-11) ITV Studios Writer of acclaimed 60 minute drama for BBC 4 broadcast as part of the 50 year CORONATION STREET celebrations. HOLLYOAKS LATER (2009) Lime Pictures Wrote first episode of late night series on C4. CORONATION STREET (2009) ITV Productions Wrote 9 episodes of the 50 year old soap. ALL MY CHILDREN (2008-09) ABC Associate Head Writer on Daytime soap based in New York. Created story for 300 episodes. HOLLYOAKS (2007-08) Lime Pictures Working as a script writer on the UK’s leading teen soap. Wrote 12 episodes. IN THE CITY (2006-07) Mersey Television Creator, writer and producer of a 20 part drama series set in a Liverpool model agency. Transmitted on E4, C4 and BBC America. CORONATION STREET (2001-2006) Granada Television Worked as a script writer, writing a total of 95 episodes. Created the show’s first gay character in 43 years. CHATROOM (2004) Granada Television Commissioned to write a one-off drama. Drama written but never produced. CORONATION STREET (1988-2000) Granada Television Worked for twelve years as Archivist and Researcher on Britain’s longest running television soap. Wrote 11 books on CORONATION STREET, two of which became bestsellers. FIRST TIME FARMERS Series 2 (2013) Monkey Kingdom Story Consultant on this C4 constructed reality show.